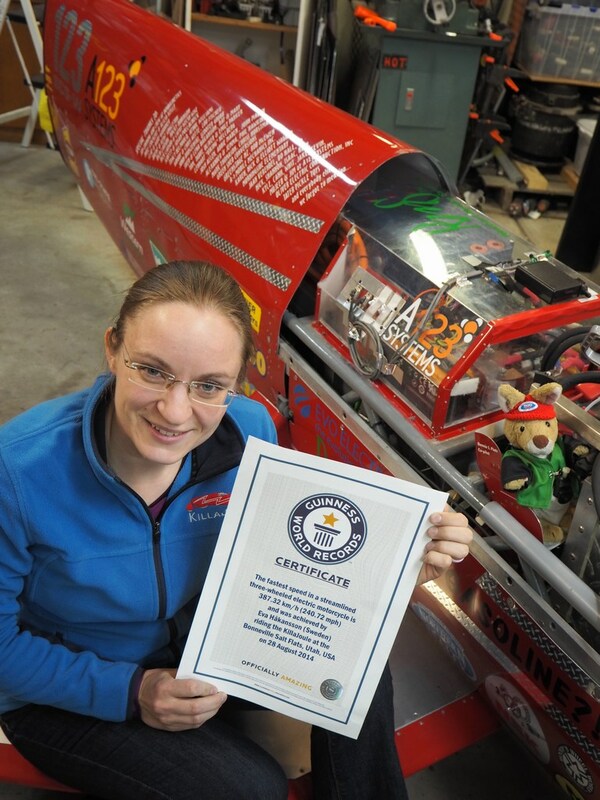 Home Racing KillaJoule in the Guinness Book of World Records! KillaJoule in the Guinness Book of World Records! KillaJoule can add another record to the collection: it is know officially the world’s fastest streamlined three-wheeled electric motorcycle according to Guinness World Records​!